Do you have the sun glaring in your windows damaging your furnishings and can’t enjoy your view during the day and are looking for ideas to control the sun. Well, Ruffell & Brown has many solutions for you to consider to control that sun coming into your home or business. Depending on how much control you want, say for example you have a beautiful view and want to see out during the day to enjoy it, then a solar screen roller shade might be perfect for you. This product is available from several of our suppliers and is our most popular sun control window covering treatment. They come in many colours and openness factors, however they do not give you privacy at night so this should be discussed with one of our sales team to see if this is the right window treatment for you. colours, styles, textures, honeycomb sizes, and price ranges. The options are endless, top down bottom up, cordless, and motorization for example. They can cover many types of larger scale windows and when closed are very compact and a tidy appearance. Horizontal blinds or Venetian blinds are still a popular solution and come in aluminum, Faux Wood, and real wood. They can be a very versatile sun control product as a tilt of the slats controls the sun coming in and when closed give privacy. 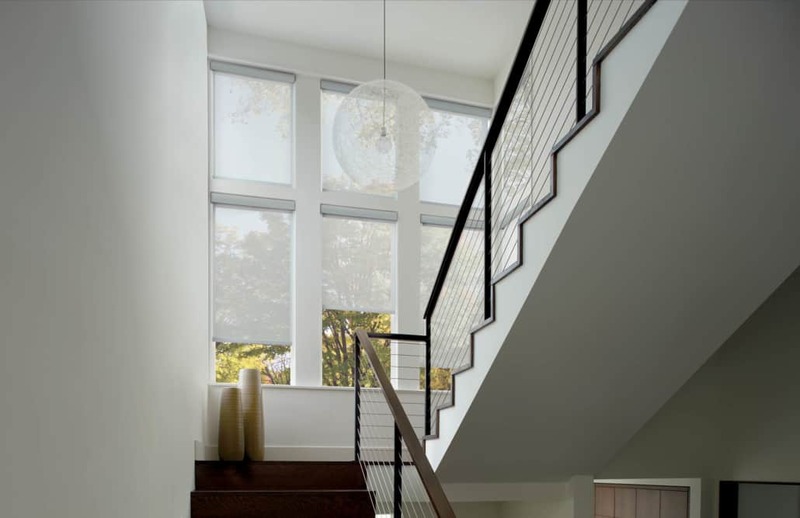 Numerous other types of window covering products are available at Ruffell & Brown Window Fashions that can control the sun and fit your budget. See below for links to some other products to consider or better yet book your free shop at home appointment to let one of our sales team help you make the right choice for your home or business.